Effective visuals can help successfully promote the photographer's portfolio. In such designs the emphasis should be put on good photo presentation, thus grabbing the viewers' attention. The following clean design with modern vibe takes this advice into consideration, making people interested in photographer's personality, nicely shows his or hers gallery and invites to address for great photos. 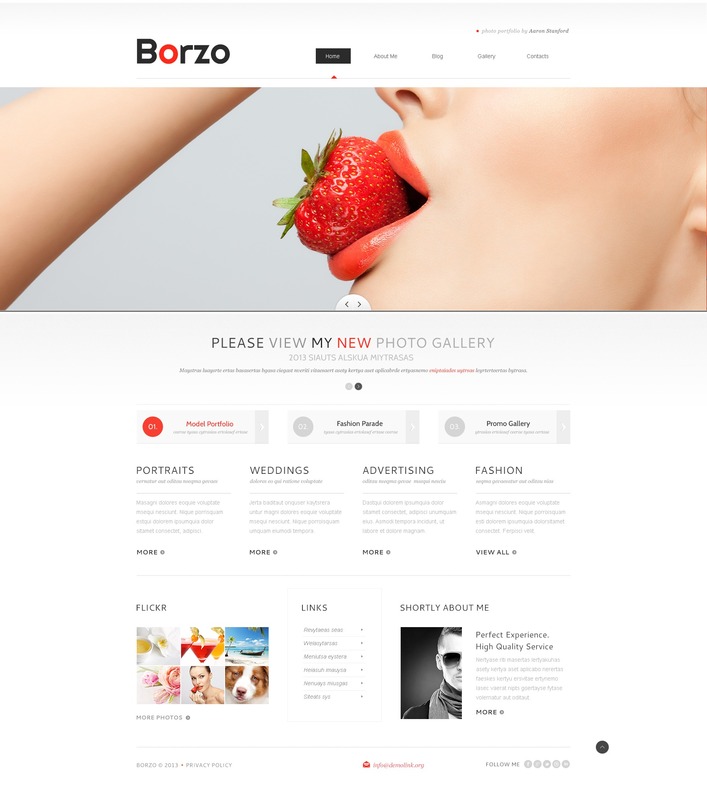 Use this theme for photography, design, and architecture websites.